You can drink wine alone — there is zero problem with that. You can find a wine that pairs perfectly with your meal. You can find a meal to pair very nicely with your wine. Or, you can find snacks to nibble on while sipping your wine. While at the wine store, namely Total Wine, working a wine tasting and they give you these little nibbles to include at your table. Innocent little off-white globes, about the size of a thumb nail. 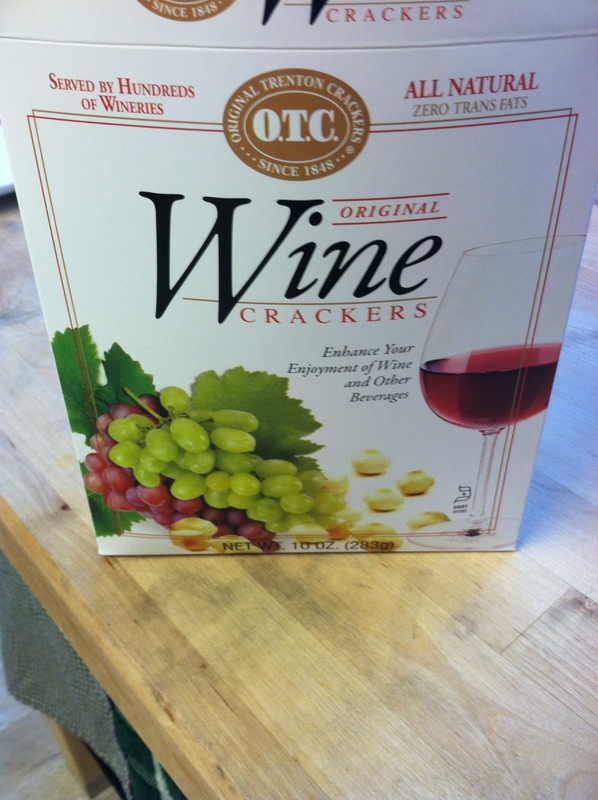 These are Wine CRACKers. OMG. So, so, so good. 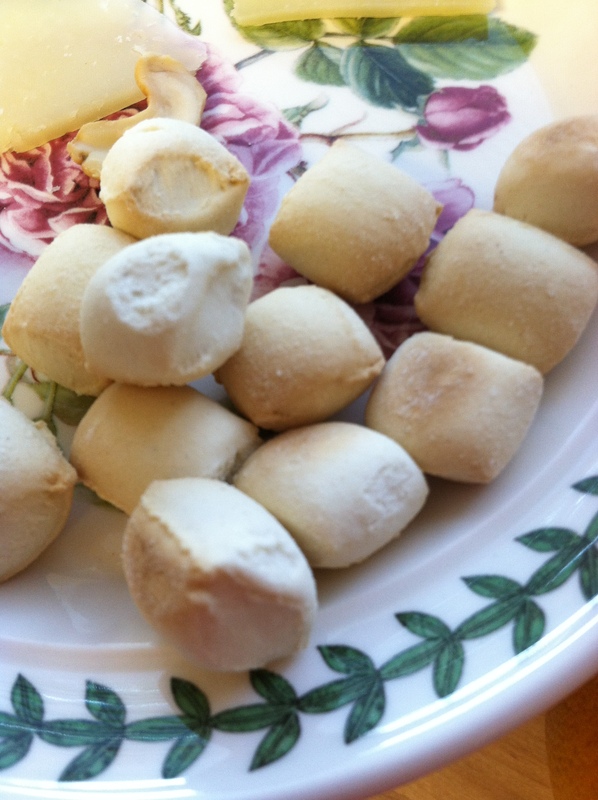 I don’t know what is in these things but they are addictive!!! They are totally right — have them on hand — they are like candy, oh, I mean snacks. So good! I’ve seen them at Total Wine and Wegman’s. Googling them brings up many other options, as well. Was in Whole Foods the other day roaming through the chip aisle to grab some pita chips (of course, right?). I always have to see what else is on the shelves that I really don’t need. Well, a couple years ago I had some chips after running a race that were so good! They were just so unique and I haven’t been able to find them again. I couldn’t quite remember what they were, unfortunately, so have been on this endless hunt. 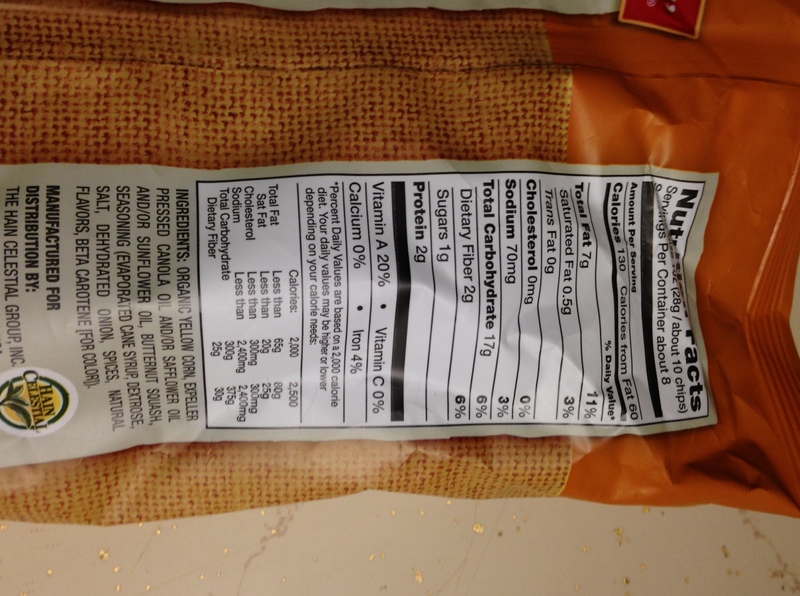 I see these sweet potato chips and try them and realize they aren’t quite right. Well, finally I have found what I was looking for! 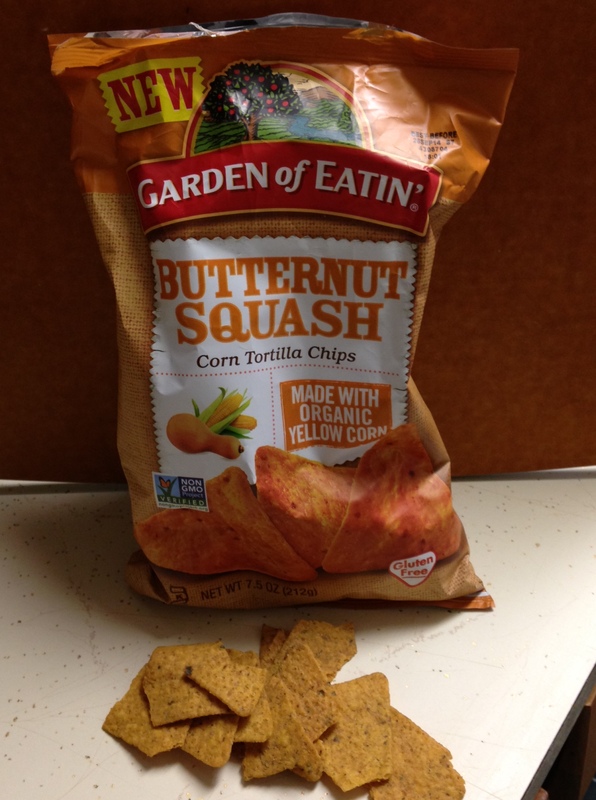 Garden of Eatin’ Butternut Squash Chips! They are and aren’t BS! So good! The bag says NEW, no, they were around a couple years ago and now are finally back! The chips are made with corn, butternut squash and some spice. They have a bit of sweetness, they’re crunchy and something unique to them. I don’t even think they need salsa to pair with them. I did put some hummus on them once or twice, though — the pita chips didn’t have to get all of it, right? They are also gluten free and dairy free. Check them out, let me know what you think. And, if you find them at different stores, let me know.